Having a capable phone system is essential for a growing business. Fully-featured VoIP solutions from Micom Systems are able to offer your business major cost benefits by utilising your Internet connection for all of your organisation’s communication needs. If you are looking for a change in your provider or would like to implement a completely custom phone system for your business, get in touch. You spoke, nobody could listen in, SIP Encrypt allows you to secure your current communications system. 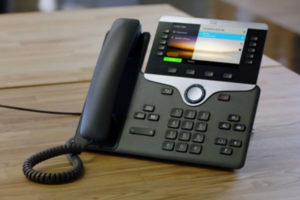 VoIP with all of its benefits, and value is inherently insecure, if I was connected to the same network as your VoIP calls, I would be able to listen in to your communications. SIP Encrypt stops this from happening. Using AES256 encryption, the same standard as many government organisations, you can rest at ease knowing that SIP Encrypt is installed. SIP Encrypt is one of the many services available on our platform. If you would like to find out more about SIP Encrypt, please get in touch.